In honor of the new Sailor Moon Crystal season, I’ve decided to write an article on Sailor Moon characters. Unfortunately, Sailor Moon Crystal hasn't seen as much character development as Sailor Moon, so I will be pulling mostly from the Original. 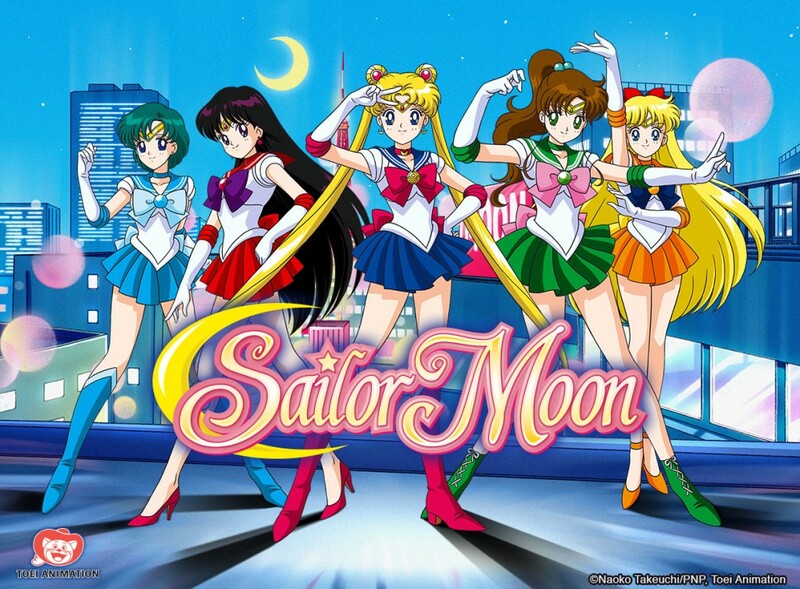 Sailor Moon has been accumulating fans since the early 90s. It not only revitalized the magical girl genre but also helped inspire ladies of all ages to see themselves as strong, independent women. If that isn’t reason enough, here are just a few more reasons why Sailor Moon is awesome: the music, the art, the story, and of course, the characters. Especially the characters! And since the characters hold a special place in my heart, I've decided to write about each one of the inner sailor senshi*. You know that one kid who just could never get below an A+? He/she was always studying and forever had his/her nose stuck in a book. Well, that is Sailor Mercury, Pretty Sailor Soldier of Knowledge and...Bubbles? Okay, technically she's the Soldier of Water, but she used a lot of bubble attacks. She’s the Pretty Sailor Soldier of War and Passion, so it's no wonder that Rei could sometimes be a hothead of sorts. But isn't that exactly why we love her? Now, this isn't seen too much in Crystal, but in the Original, Rei was Usagi's best friend. I mean, it took some time to get there, especially since Rei dated Mamoru (Darien) for a while. (Yeah, you probably forgot about that.) But does anyone else miss Rei and Mamoru calling Usagi “Meatball Head”? Do you miss the arguments between Usagi and Rei? Or Chad!!! Do you miss Chad? ‘Cause I sure do. Yup, Rei's snarky comments and her heartfelt moments with Usagi aren't in Crystal. What a shame. And I get it. They're trying to stay true to the manga. But Rei, I miss you. As the Pretty Sailor Soldier of Thunder and Courage, Makoto (Mako for short) is both loyal and freakishly strong. She's also a decent cook. I remember wanting to eat EVERYTHING Mako made. And do I mean everything. Her skills in the kitchen rivaled her skills on the battlefield. She was by far the strongest, tallest, and toughest member on the team. That is, until Haruka showed up. Then Haruka and her had to duke it out for the title of most masculine sailor scout. When I was little, I was told I looked a lot like Mako. I was tall, had mousy brown hair, and actually had a pair of those pink rose earrings she wears. I was proud of that comparison because Jupiter should be envied. That woman's got talent, and here's hoping she pursued her dreams to be a world renowned chef. Not to mention, her hair was flawless (like everyone else in Sailor Moon). Keep that hair game strong, Mako! Minako is called the Pretty Sailor Soldier of Love and Beauty. Well, no surprise there. She is named after the Roman goddess Venus. She lived in England, was "secretly" Sailor V, and owned a talking white cat. In the Original, she was just a team member, but in the manga and in Crystal, she's technically the leader. (That's right. Sailor Moon isn't the true leader of the group.) With her stylish mask and legendary moon sword, she's one badass scout. The good thing about Crystal is that Minako is even more powerful. However, her personality is strongest in the Original. Not to mention, you see more of her volleyball talent and singing skills in Sailor Moon. Sailor Moon is the Pretty Sailor Soldier of Love and Justice, which I'm sure you already knew. She is very much a professor of love and has a strong sense of justice. To top it off, she also has a talking cat. Ah, where to begin? Usagi has been my favorite character for many years now. And here’s why. Despite her flaws, she works to be a better person. She stands up for the weak and inspires kindness and love in others. Her romance with Mamo-chan, as she so fondly refers to him, is utterly adorable. Even though Crystal is a much shorter anime than the Original, we still see some of what make this couple special. However, the Original had a better romance. There were just so many wonderful scenes in the Original that never made it into Crystal. Back to Sailor Moon. True to the reluctant hero trope, Usagi doesn't ask to be a moon princess, doesn't ask to save the world, yet she's thrust into battle regardless. As the series progresses, you see her mature. Unfortunately, Crystal didn't have this. The Original just had more time to perfect her maturity. In Sailor Moon, she's a complete and total cry baby in the beginning, never wanting to fight. But that changes little by little until Usagi is the resilient and reliable heroine we know and love today. Now, I know you're thinking, "I remember Chibausa being extremely annoying." But this is simply not true! Okay, maybe she was when we first met her, but when she grew up and could actually transform into a sailor scout, her attitude and her character improved! Chibiusa shines during the Super S Arc. (And who doesn't love a good story about a “dead moon circus”?) This season really shows us how Sailor Moon and Sailor Chibi Moon can work together and how cute Pegasus and Chibiusa are. It gives us a reason to love Chibi Moon. Plus, the love between Sailor Moon and Sailor Chibi Moon is perfection. Not only is their relationship the pure and noble love of mother and daughter, but it's also that of siblings. They fight because they're so alike. Deep down Chibiusa looks up to Usagi. This isn't seen as much in Crystal, but the Original really focuses on it. When it comes down to it, what's important is that both series celebrate love--whether it's the love between parent and child, the love between significant others, or the love between friends. Which sailor senshi is your favorite? Why do you love Sailor Moon?